Hey! 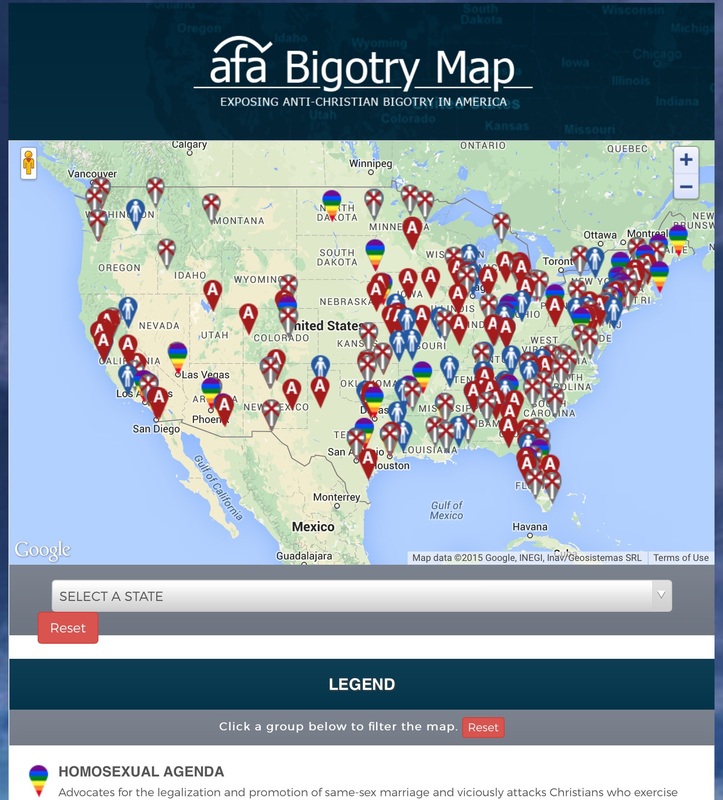 The Anti-Gay AFA Now Has Its Own Anti-Christian “Bigotry Map”! These groups are deeply intolerant towards the Christian religion. Their objectives are to silence Christians and to remove all public displays of Christian heritage and faith in America. A common practice of these groups is threatening our nation’s schools, cities and states. By threat of lawsuit, they demand prayer removed from schools and city council meetings, Ten Commandments monuments stricken from courthouses and memorial crosses purged from cemeteries and parks. Because of anti-Christian bigotry, private business owners have been sued and forced to close their business. Families and businesses that express a Christian worldview on social issues often face vicious retaliation from bigoted anti-Christian zealots. via The AFA Strikes Back With Its Own Anti-Christian ‘Bigotry Map’ | Right Wing Watch. Tags: American Family Association, featured. Bookmark the permalink.